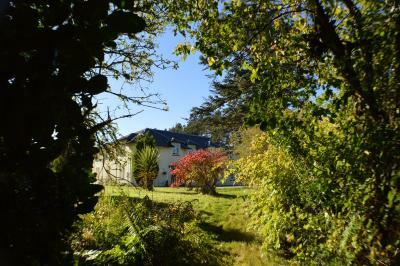 Nothing much really apart from the location. The building is tired and needs some renovation. 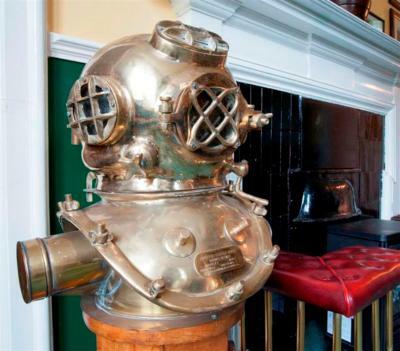 After reading so many horror stories in the review section about this property, we were very scared. However, the young lady at the desk was very helpful and kind. She asked us where we were from etc. 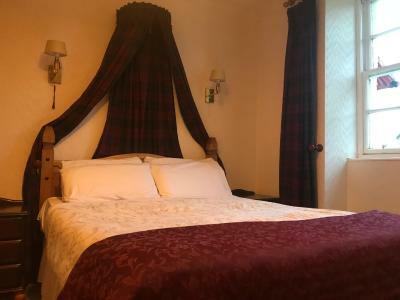 Very great place just at the top of Kyleakin, we could check in early and MacKinnon House is just the perfect Scottish stay. 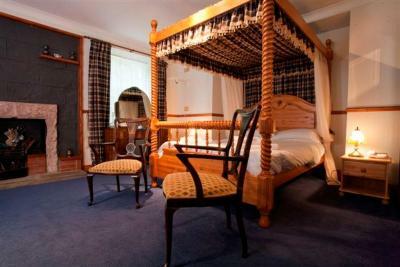 Generous rooms and nicely decorated, excellent choice of breakfasts. We received great support from the staff whether it concerned luggage storage or travel sickness. This was a second stay and we had a much better room with two bedside tables, lights you could switch off from the bedside and more mirrors. Good place to stay, awesome breakfast and great people to deal with. 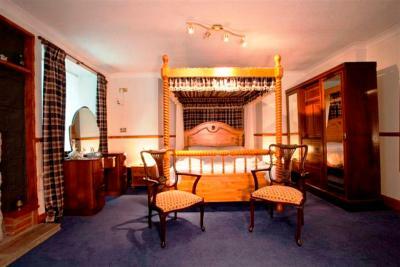 Almost everything was really really good, apart from the comfort of the beds (see below). Steve the breakfast waiter was brilliant. Breakfast was nice. Room was adequate. Good supply of toiletries. Plenty parking. 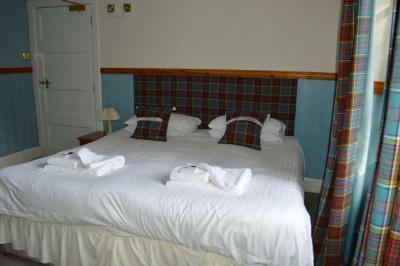 Central heating worked well the room was warm after we shut the window which was wide open on arrival in early March! We were very happy to finally find a place that would be ok with travel cats :) True pet friendly nice family run hotel. 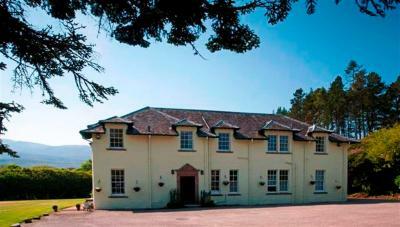 Great breakfast, a bird worn out but nice bright rooms, super location just after the Skye bridge. Bed was very comfy, wifi fast, parking right next to the hotel. Overall a great experience and if we go back to the Isle of Skye we will stay here again! Breakfast was good, fresh coffee, cereal, freshly cooked full breakfast including Black pudding & Haggis. Wifi - good signal, easy to log on. Location - very easy to find, just off the Skye Bridge; close to my business location. 6 minutes walking distance to Indian restaurant. Half a mile into village with pub/restaurant and small store with gift shop. 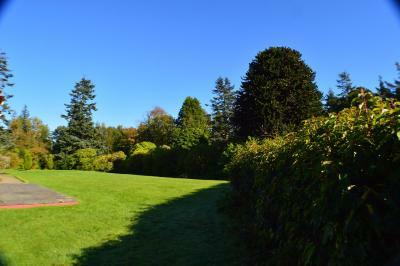 Nestled in 4 acres of picturesque gardens, Mackinnon House overlooks the Sgurr na Coinnich mountain range and offers free private parking on site and free WiFi. 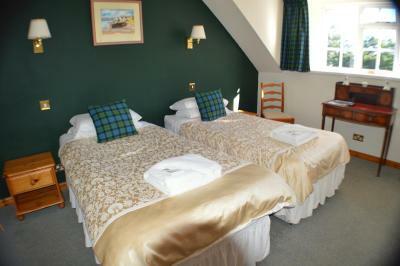 The en suite rooms at Mackinnon House includes a TV and tea/coffee making facilities. Each morning there is a full Scottish breakfast available. 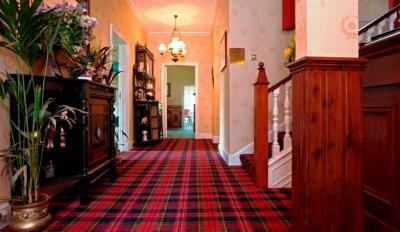 The historic Dunvegan Castle is just over an hour’s drive, and Isle of Skye Golf Club is just under 20 miles away. Talisker Scotch Whisky Distillery is 45 minutes by car and offers tastes of a 40-year-old malt. 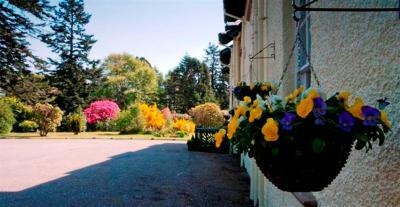 Mackinnon House & Lodge has been welcoming Booking.com guests since 20 Sept 2012. 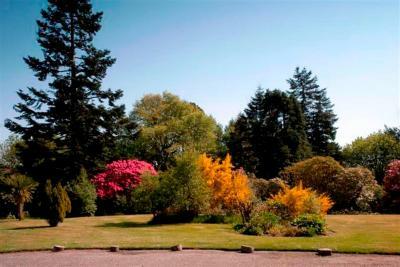 When would you like to stay at Mackinnon House & Lodge? 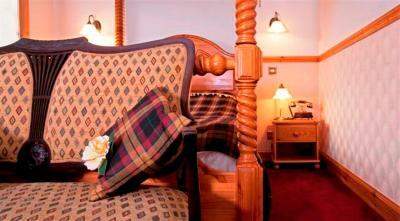 Decorated in Edwardian style, this room features an en suite bathroom, TV and tea/coffee making facilities. 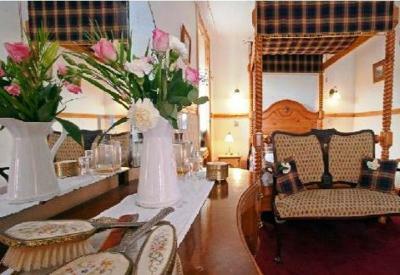 An en suite bathroom, TV and tea/coffee making facilities is featured in this room. 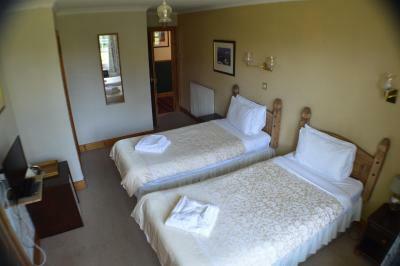 This room comprises of a double bedroom with a separate adjoining room with bunk beds. It includes free WiFi, a TV, and tea and coffee making facilities. This room is only suitable for 2 adults and 2 children. 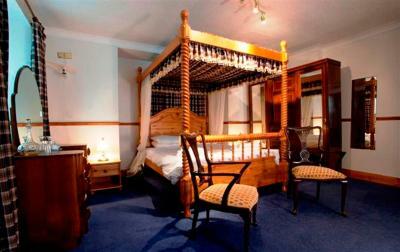 With a four-poster bed, this room also features an en suite bathroom, TV and tea/coffee making facilities. 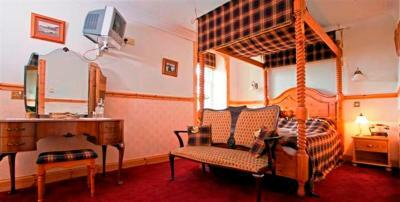 This triple room features tea/coffee making facilities and a TV. 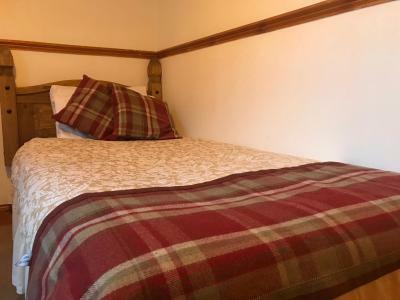 This double room features tea/coffee making facilities and a TV. 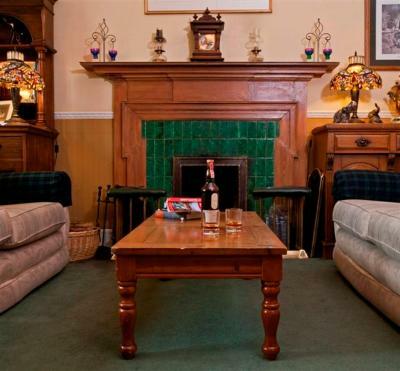 This family room features tea/coffee making facilities and a TV. 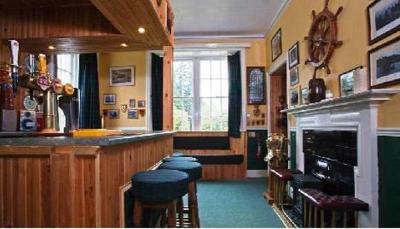 House rules Mackinnon House & Lodge takes special requests - add in the next step! 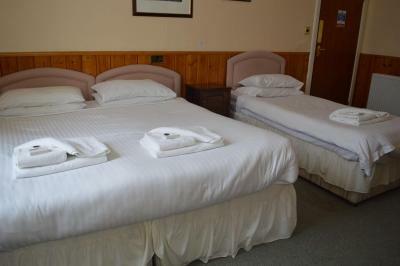 All further older children or adults are charged GBP 25 per night for extra beds. Bankcard Mackinnon House &amp; Lodge accepts these cards and reserves the right to temporarily hold an amount prior to arrival. Mackinnon House & Lodge accepts these cards and reserves the right to temporarily hold an amount prior to arrival. A registration form will be filled in on arrival. 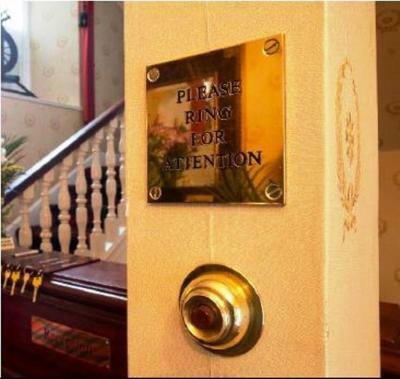 You can use the Special Requests box when booking, or contact the property directly using the contact details provided in your confirmation for more information. 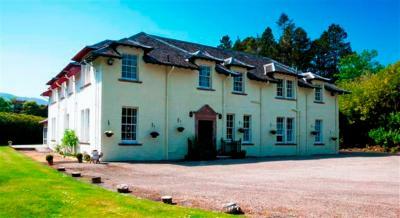 Please inform Mackinnon House & Lodge in advance of your expected arrival time. You can use the Special Requests box when booking, or contact the property directly with the contact details provided in your confirmation. Rude owner and staff who shouldn’t be working in the hospitality business. Hygiene could definitely be better. There were cobwebs in our room and when my husband pointed out the chandelier, we saw that it was full of dust. We had a 16-month old baby with us, so hygiene was quite important for us. The WIFI could be a bit better and the shower a bit more powerful. 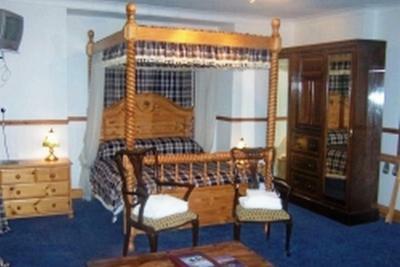 Terrible cobwebs Decor out of date + old hairbrush with hair in-YUCK Dust on top of bed Fake air freshener fragrance Mould on single glazing windows Jacuzzi bath didn’t work Shower a trickle Bar room was locked! The mattress was so worn out I couldn’t sleep properly because the metal springs bruised my hips. We have travelled most of Scotland and we found this place was the least nice. Not a friendly vibe at all. Needs serious attention to its outside appeal. Only one power point in entire room. 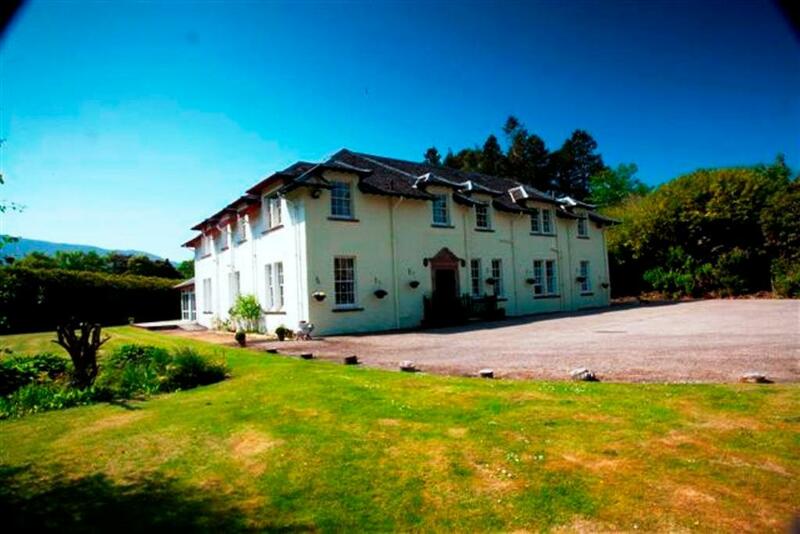 My review of MacKinnon Country House Hotel: An old building in need of serious refurbishment. The ceiling was leaking, so we couldn’t access the sitting room. The receptionist (possibly owner) was one of the most odd, cold women I have ever met. I can only presume she is autistic. For her to choose a career in hospitality is absurd. At the reception desk, she demanded that I fill in a form, then seemed disgusted at me when it turned out that she had printed out the wrong one! The bed was too hard, and the pillows too thin. The room smelt of damp and the bath was extremely shallow; only deep enough for a bird to bathe successfully in! Breakfast was a depressing affair: we were placed next to a door that smokers used frequently, so we were very cold, but the autistic receptionist/owner (now breakfast server) refused to allow us to move. My Mum explained that she didn’t want a cooked Scottish breakfast as she is vegetarian, and asked for an egg. The woman scowled and told her (incorrectly) that vegetarians don’t eat eggs because her husband doesn’t. The toast was cold and no jam or honey was available. No juices were served for breakfast. We were delighted to leave in the morning and don’t intend to ever return!